Jessica Yellin draws on her time as an on-air correspondent for CNN and ABC for her deliciously spunky debut. The novel follows Natalie Savage, a reporter who gets the chance to prove her talent when her network gives her a job covering the White House. But when she meets her competition—a bro-tastic reality TV alum—Natalie must put her personal and professional ethics to the test. Yellin’s warts-and-all portrayal of TV news takes on ratings wars, DC intrigue, and #MeToo. 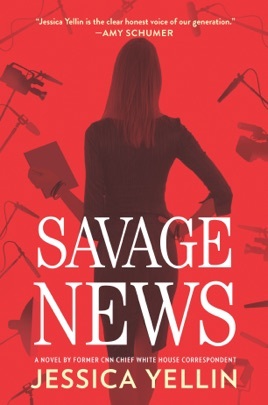 With its fast-paced dialogue and ripped-from-reality details, we couldn’t put Savage News down.